Hell, if you share this image with the tag #ROSbeyondthedumpsterfire on Instagram, and we’ll enter ya twice. Winners selected via random drawing May 1. Pre-orders ship May 4. **European orders. We are working on an overseas distributor to help lower shipping costs. Will keep you updated. 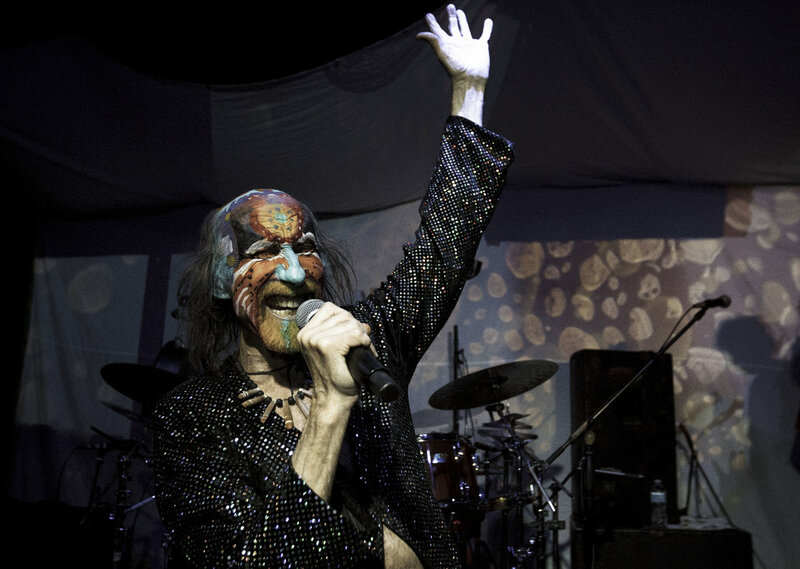 Following up on last week's recap - a few handfuls of shots off the rolls from The Crazy World of Arthur Brown's two night Zim Zam Zim tour finale in Austin, TX. More from this photo set in our upcoming Issue III (release date announced 3/14). “Before the yuppies, I was here!” Arthur proclaimed to a packed and exuberant crowd at Austin, TX's Barracuda. The God of Hellfire returned to the city he called home through a good stretch of the ‘80s and '90s (and current home to some of his family) to bring to a close his first US tour in 47 years with back-to-back shows, February 24 and 25. Fort Worth’s Pinkish Black, Dallas’ Mothership and Little Rock’s Pallbearer kicked the place into gear on opening night, revving up an anxious crowd for a dazzling 90-plus minute set from The Crazy World of Arthur Brown that featured numerous costume changes and cuts off the 2014 Zim Zam Zim album, in addition to “The Tell Tale Heart” off Tales of Mystery and Imagination - the debut studio album from The Alan Parsons Project - and “I Put a Spell on You,” a Screamin' Jay Hawkins cover off Brown's debut release. 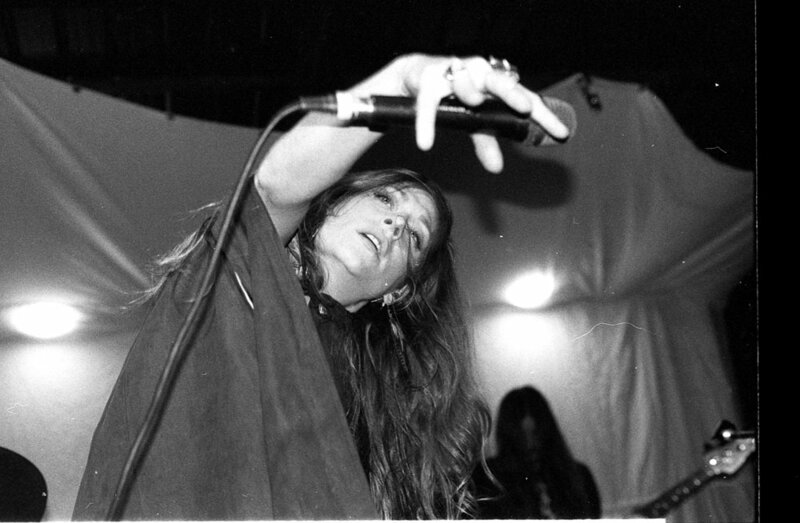 Arthur conjured every ounce of his signature stage aura to the East 6th Street venue, a stage which allowed the crowd to intimately appreciate Arthur’s soaring vocal ability and lithe girations, moves more resemblant of a 20-something festival dancer than a 75-year-old psych icon. And his band, featuring Austinite Bruce Hughes (a friend and collaborator from Arthur’s earlier Austin years) on bass, Carter Arrington on guitar, Dane Farnsworth on keys and Chip Vayenas on drums, was nothing short of astounding in their own right. (Farnsworth was led on a tour across the stage both nights, keeping up with his finger work as Arthur snatched up the keyboard and paraded it around the stage). Following "Junkyard King", the band exited the stage after a brief farewell bow. Arthur ensnared the audience for one last cut, swinging back to a sultry disposition as he and Arrington slid into Jungle Fever, capping off a memorable finale, one which further reinforced The Crazy World of Arthur Brown as one of the strangest, funkiest bands to have graced this rock. 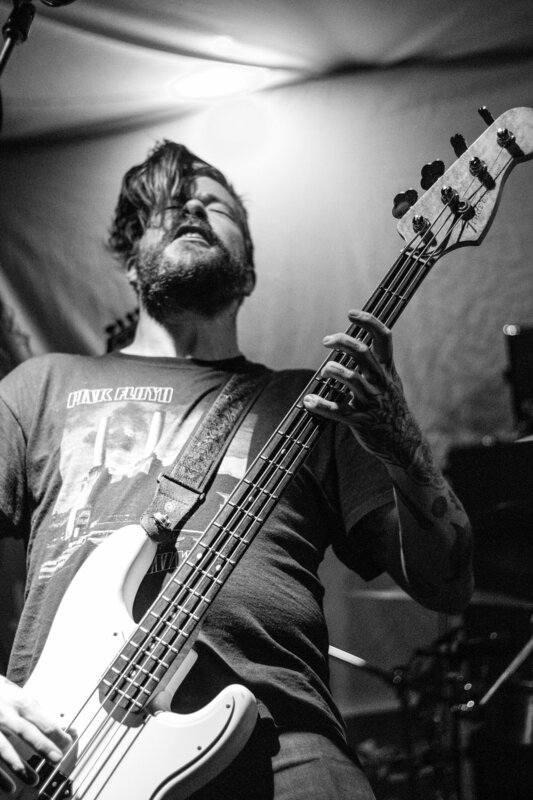 Cheers to Psycho Entertainment for producing such an event, to Boss Tweed for a killer backline and for keeping things tight, to the staff and sound team at the Barracuda and everyone else involved. We will post some of the film shots (including shots of Mothership and Pinkish Black) next week once they are developed. Stay tuned for our favorite selections from the weekend in future print releases, including our upcoming Issue III out at the end of this month.